For Jenny Bowen, the distance between herself and her newly adopted daughter began to close when the child, barely 2, slowly began edging nearer on the hotel bed. “She didn’t dare to look at me, but as I felt the warmth of her back inching closer to me, I also felt her courage,” Bowen recalled in an e-mail exchange with China Daily. The girl, Maya, is now a freshman at the University of California, and she harbors ambitions of becoming a teacher. The 19-year-old was also the inspiration for her mother’s charity, the Half the Sky Foundation, named for Mao Zedong’s famous dictum, “Women hold up half the sky”. 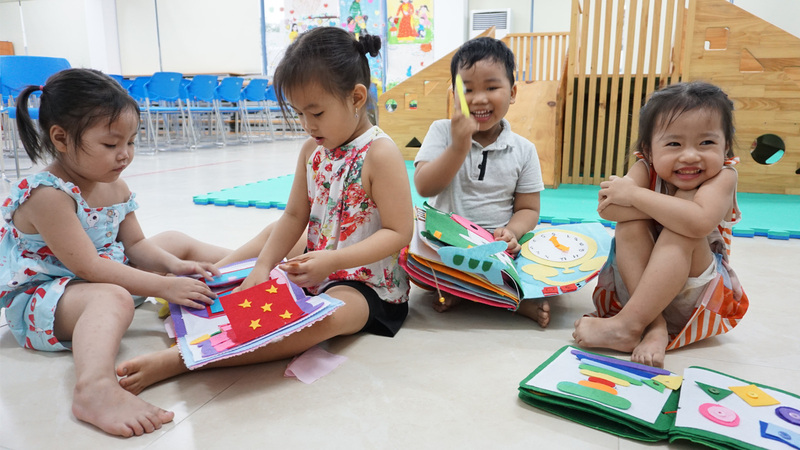 Founded in 1998 by Bowen and a handful of friends, mostly US nationals who had adopted Chinese babies, HTS now works with about 70 orphanages across China. Bowen also enlisted the help of Zhang Zhirong, a former project director with the China Population Welfare Foundation, Zhang, who speaks English fluently, first got to know Bowen during a telephone conversation. “She called to say she wanted to help the children,” Zhang recalled. She later joined Bowen on visits to child welfare institutions across China, and joined HTS when she retired in 2000. Looking back, the 70-something said her enthusiasm was fired by her deep knowledge of Chinese orphanages, and the sense that change was in the air. “Determination and perseverance aside, Jenny arrived at the right time,” Zhang said. 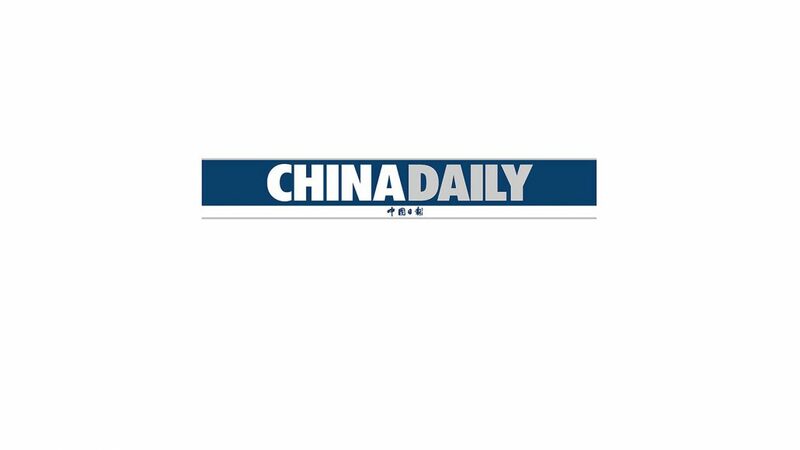 “In the early 1990s, the Chinese government started to focus on child welfare. In 1995, the World Women’s Conference was held in Beijing, which drew even more attention to conditions in the country’s orphanages. “In the following three years, the government built or refurbished many orphanages, making the spaces bright and beautiful. By the time Jenny arrived, the buildings and other infrastructure were already there. All she needed to do was focus on the software, and help the government to build effective programs with trained caregivers,” she said. Emphasizing “responsive care”, Half the Sky encourages caregivers to pay close attention to their charges’ needs and interests, even during routine activities. By recognizing that even the youngest child needs human interaction, the nannies help to stimulate and cultivate attachment and growth, curiosity and confidence. Achieving those goals was both easy and hard, said Liu Shan, whose career as a nanny began at an HTS program in her native Henan Province. Liu later became an HTS trainer and, later still, director of the China Care Home in Beijing. 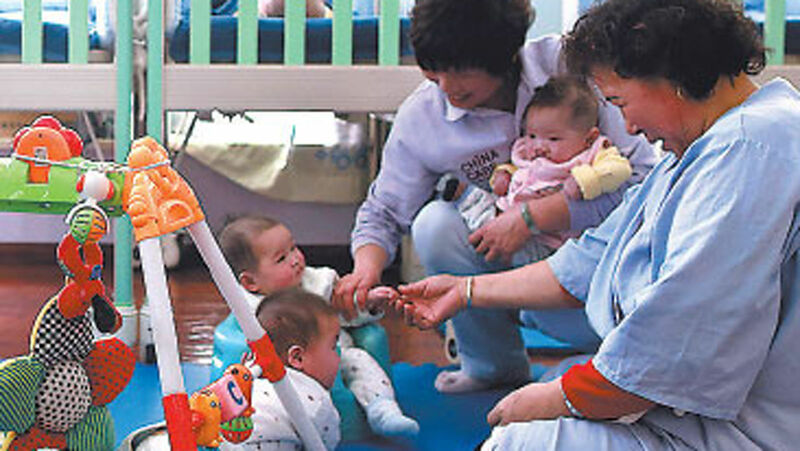 Operated by Half the Sky’s sister organization, the Chunhui Bo’Ai (“Love of Spring Sunshine”) Children’s Foundation, the home provides a temporary refuge for orphaned babies and toddlers brought to the Chinese capital for lifesaving surgery or medical treatment. Confused and unsettled by what she’d seen, Liu consulted one of the nannies. “‘He’s just like that’ – that’s what I was told,” the 53-year-old said. “A few days later, an HTS trainer came to the orphanage and solved the puzzle. She told me the boy behaved like that because he had feelings to share, but no one to turn to. Frustration had turned into anger and despair. All he wanted was attention, an affirmation of his oft-ignored existence,” she added. The experience prompted Liu, who had just lost her job, to join HTS. “That insight has kept me working here all these years,” she said, cuddling a cleft-lipped infant girl. “Jenny is a pragmatist and an old China hand, if I may say so. 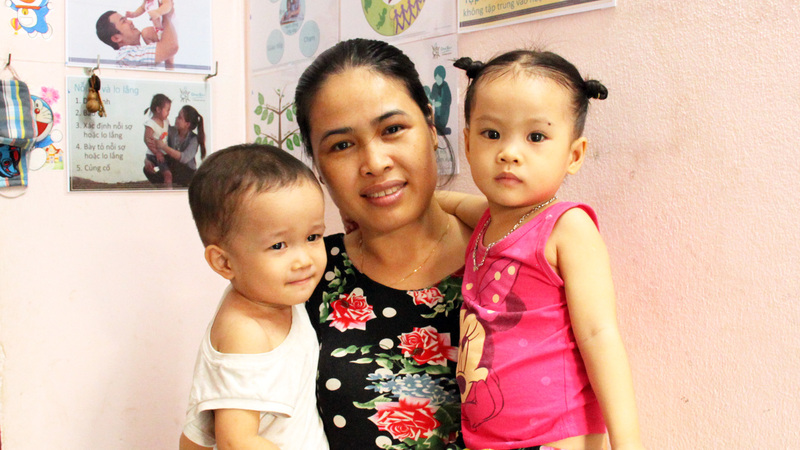 From the very beginning, instead of setting up our own places, she’s tried to work with government-funded orphanages by providing HTS-trained nannies and offering training to the staff at the institutions. The strategy has proved highly successful,” Liu said. In the second-floor playroom, a dozen children, ranging from 6 months to 2 years, were enjoying afternoon playtime, attended by six nannies who they called “Mum”. While a few children romped on the floor, tugged at the nannies’ clothes, or tried to climb up their backs like animal cubs, others were quieter, content to curl up on their nannies’ laps, or simply hold their hands. A few had unusually large heads or purplish lips – indicative of congenital hydrocephalus or heart disease – but generally the atmosphere was one of health and vitality. Liu spent long periods talking to the boy, using slow, exaggerated lip movements while showing him pictures of whatever they were talking about, an animal or a toy, perhaps. By 2006, when the boy, then age 3, left for the US with his adoptive family, he had changed beyond recognition. Not all the children’s stories end so well, though. The death of 6-year-old Dang Liufang, nicknamed “Fangfang” in 2013 broke the hearts of her two “mothers”, one in China, one in the US. 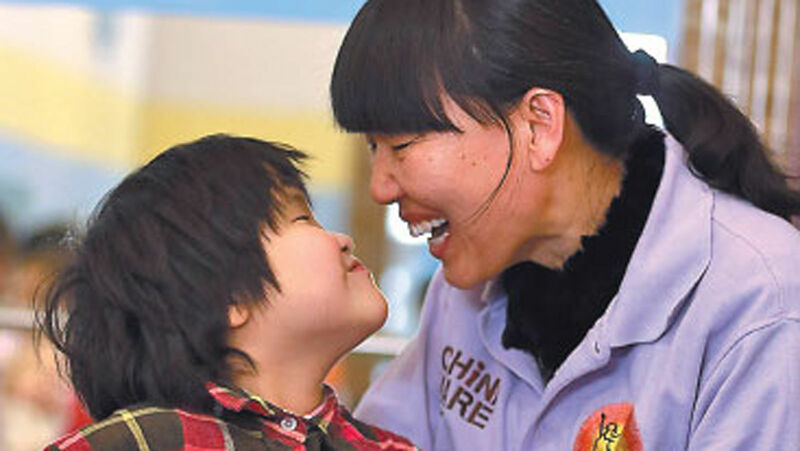 “She had severe congenital heart disease, and had undergone many operations before being adopted by her American parents,” said Yan Weimin, Fangfang’s nanny at the HTS Beijing orphanage, who said she sat through many sleepless nights with the child and loved her as though she were her own daughter. “Saddened though I was by her departure in 2011, I was also elated because her adoptive mother was an experienced pediatric nurse” the 43-year-old said. “They tried, they really did – Fangfang had further operations in the United States, but the monster won eventually. My colleagues hid the news from me for months. “Even today, I can’t stop reminding myself of our last meeting, at the Beijing Railway Station. As she looked away temporarily, I ducked into the crowd to save us both from a tearful goodbye. I wish I had stayed a little longer,” she said.